In an environment in which national government cannot assure the country stable and interrupted electricity, it would be irrational to prevent Johannesburg from coming to the table with solutions, writes Herman Mashaba. I write to you amidst a rare week of respite from the rolling blackouts brought on by Eskom's implementation of load shedding. However, the knowledge that this reprieve could swiftly deteriorate into the nightmare of the past couple of weeks hangs over the heads of all Johannesburg residents. The lack of any reliable assurance to the contrary leaves residents in the dark, having to assume the return of load shedding is a matter of time. Johannesburg is the country's economic hub and the most populous city in South Africa. The continued implementation of load shedding places an enormous strain on the city, causing havoc in the local economy and hampering the prospects for nearly 900 000 unemployed people to find the dignity of work. Despite having increased employment in Johannesburg by 110 000 net jobs in 2018, we now face the imminent prospect of job losses arising from an economy constrained by rolling blackouts. Rolling blackouts not only hamper economic growth, but compromise the ability of the City to deliver basic services. Load shedding disrupts Johannesburg Water's ability to pump water to its reservoirs. It stops our clinics from providing primary health care, and children from doing their schoolwork in our extended hours libraries. When Eskom fails us, the Johannesburg Metropolitan Police Department (JMPD) is forced to redeploy hundreds of its officers to traffic management, which means that there are considerably fewer officers patrolling the streets of the city and ensuring the prevention of criminal activities; officers that should be ensuring that the residents of the city are safe. While the short term effects of rolling blackouts are evident to all our residents on a daily basis, the long term effects have yet to sink in. Like an old car that has been neglected by a previous owner for decades, the city's ageing infrastructure does not respond well to being switched on and off multiple times a day. Indeed, the City is increasingly diverting resources away from much required proactive maintenance to simply repairing the damage caused by frequent load shedding. There is no question that the knock-on effects of Eskom's failures can, and will, be felt in every facet of our daily lives. It is against this backdrop of an uncertain energy supply from Eskom that I pen this letter to request that you publish a notice in terms of the Electricity Regulation Act (ERA), allowing the City of Joburg to purchase electricity directly from Independent Power Producers (IPPs). In the absence of a stable supply of electricity from Eskom, the City of Johannesburg must assume the responsibility to ensure that our residents and businesses can keep the lights on, the taps keep running and our communities are kept safe. Fortunately there is some light at the end of the tunnel – at least in Johannesburg. 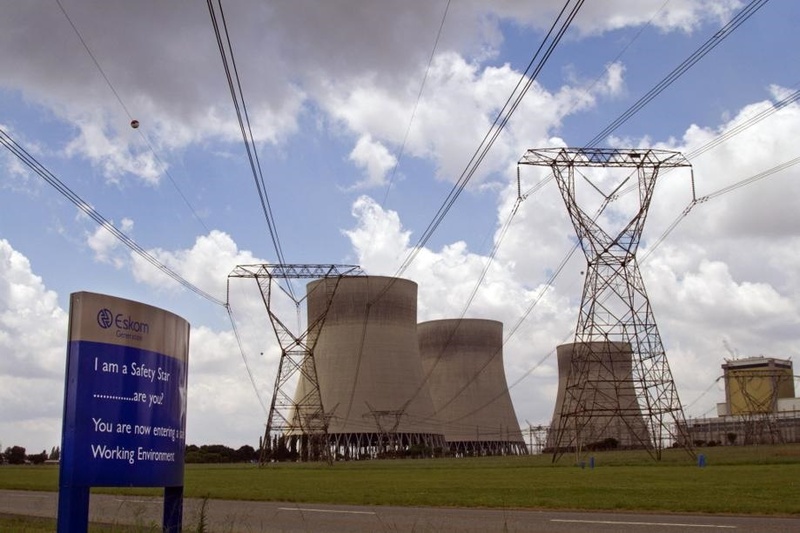 City Power currently holds a generating licence which entitles it to purchase additional electricity from Kelvin Power (Pty) Ltd.
During peak consumption, Johannesburg uses between 2 800 megawatts to 3 200 megawatts, during stage 4 load shedding Eskom requires that Johannesburg sheds 400 megawatts. If Eskom continues to increase the stages up to stage 8, the City of Joburg would be required to shed around 800 megawatts. At present City Power may purchase up to 600 megawatts from Kelvin Power, however, due to the de-commission of one of its plants, Kelvin Power only has the ability to produce approximately 200 megawatts on a continuous basis. It follows that in order to offset load shedding in the city, we would be required to purchase an additional 600 megawatts in addition to the 200 megawatts it purchases from Kelvin Power. This would allow us to considerably lessen the frequency of load shedding within the municipality, ultimately even preventing it all together. The City of Joburg has a constitutional mandate to deliver basic services to its residents and must do all in its power to ensure that rolling blackouts do not undermine this mandate. The recent implementation of stage 4 load shedding is indicative of a national crises that requires that all alternate energy options are considered. The City of Joburg would like to purchase additional electricity from IPPs so that we may lessen the regularity of power outages, which have burdened our residents. In an environment in which national government cannot assure the country of a stable and interrupted supply of electricity, it would be profoundly irrational to prevent Johannesburg from coming to the table with solutions. These solutions stand to benefit our residents and ease the demand on Eskom's failing supply. As such, the City of Joburg implores you to publish a notice in terms of the ERA so as to allow this municipality to purchase additional power from IPPs. I am available to meet with you at your earliest convenience to further outline our proposed plan. - Mashaba is executive mayor of the City of Johannesburg.